Maroon 5 is getting ready for some football. As the band will reportedly take on the Mercedes-Benz Stadium 50-yard line in February as the headliners for the Super Bowl LIII Halftime Show. The Super Bowl will take place on Feb. 3, 2019 in Atlanta. The band has not confirmed the news yet, but US Weekly broke the news on Wednesday. 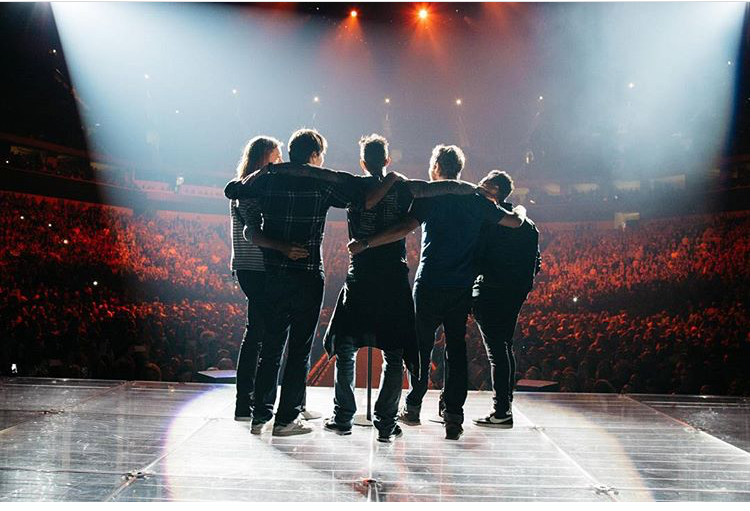 Maroon 5 is currently on its Red Pill Blues Tour. They are slated to play at the Mandalay Bay Events Center on New Year’s Eve and then take a break in the schedule until Feb. 19, when it kicks off the Australia leg in Brisbane. Previous Super Bowl Halftime performers include Justin Timberlake, Lady Gaga, Beyonce, Bruno Mars, Coldplay, Katy Perry, Janet and Michael Jackson and more. Justin Timberlake, Bruno Mars, Beyonce, Katy Perry, Coldplay and Lady Gaga. Many have brought out guest artists to join them on stage. Maroon 5 recently collaborated with Cardi B (“Girls Like You”) and Kendrick Lamar (“Don’t Wanna Know”) and has hit songs with Christina Aguilera (“Moves Like Jagger”) and Wiz Khalifa (“Payphone”). Posted on September 19, 2018, in ENTERTAINMENT NEWS. Bookmark the permalink. Leave a comment.